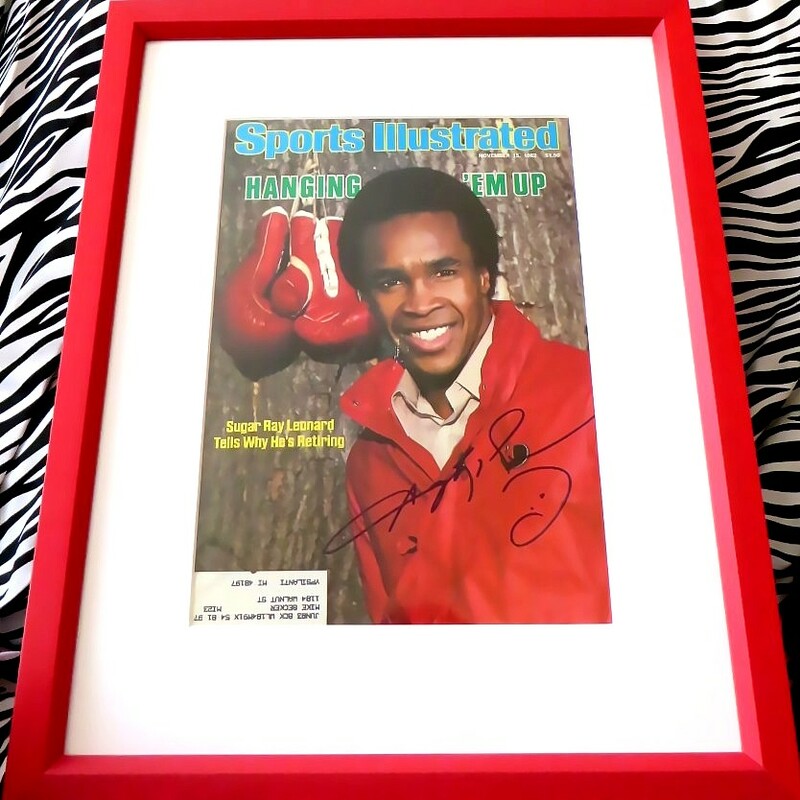 1982 Sports Illustrated (Hanging 'Em Up) magazine cover autographed beautifully by boxing legend Sugar Ray Leonard, professionally matted in white and framed with glass in read wood, ready to hang. Obtained in person. With certificate of authenticity from AutographsForSale.com. ONLY ONE AVAILABLE FOR SALE.